Below is a list of U.S. companies seeking representation in Canada. The companies are listed under the identified industry sectors. Click on the industry sector of interest and view a description of the products and/or services that the U.S. company is offering, and the type of commercial relationship it is seeking in the Canadian market. 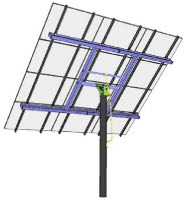 Pole mount for solar PV panels.